This tray has a diameter of 7 inches, a height of about 1.5 in and a Net WT of 8oz. 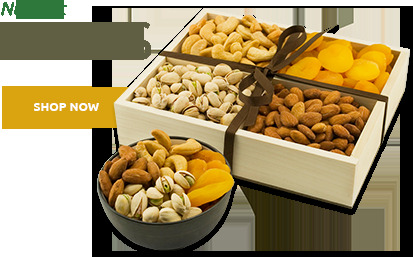 What an awesome gift for any cashew lover! 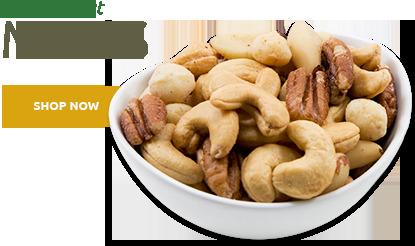 A full half-pound of the biggest, creamiest, most luscious gourmet cashews we could find, specially roasted and guaranteed to delight. Free shipping, too! Net wt. 8 oz. Salted: Cashews, Peanut Oil, Salt. Unsalted: Cashews, Peanut Oil. Excellent cashews. They went fast at Thanksgiving. The people we send the nuts to always say they are the best they ever had. A little disappointed that the expiration date was just 2 months away from the date I received them. They clearly didnâ€™t taste as fresh as the jar of deluxe mixed nuts I got at the same time that had an expiration date next fall. My aunt and uncle love them! Customer service is wonderful, professional and the products are amazing! I ordered the unsalted Roasted Jumbo Cashew tray and received the salted tray. I called the customer service number and they said that they would have someone get back to me by the next day. I received an email stating that they apologize for the incorrect order and shipped out an unsalted cashew tray immediately. They sure did. I was told to keep the salted cashew tray. My kids ate the salted tray as the unsalted one is for my father. They said the cashews tasted great!. The cashews in this package are truly jumbo. They are the most delicious cashews we have ever eaten. This package is a real treat for any cashew lover! Always fresh and tasty products and prices are super. The sales and specials make them irresistible. ProsGood sales communication and prompt delivery. It came faster than I expected, the price is amazing, and I was told it tasted great! Definitely buying from here agian in the future!! 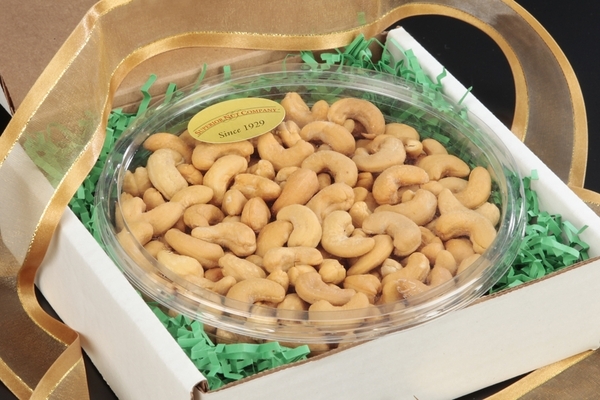 This item made a great gift -- the recipient really appreciated the size and flavor of the cashews, and they were a high-quality, value-priced selection we will definitely plan to send again. This is the second time that I purchaced a gift from Superior Nut Company. I ordered as a gift for my father who has to eat low sodium. It is hard to find nuts that are salt free/roasted and of good quality. This has been a great gift. The presentation is nice and the quick delivery is wonderful!! Customer service was great via email, as I was delivering to another state and wanted updates on my delivery. My father was truly impressed with each delivery. I will certainly order again! ProsWas up to my expectations and experience with your company. I ordered 2 containers of these cashews and am so glad I did. I kept one for myself and gave one to my 85 year old friend for Christmas. You would have thought I gave her a million dollars. Now I know what to get her for her 86th birthday. I will definetly shop on this website again and again. ProsIt is exactly as described. The cashews were the best I have ever tasted, jumbo sized, perfectly cooked, the salt was just enough and fresh as can be! Excellent product. Gave as a gift. Loved the fast shipping and will do business again. Thank you! This was a present ordered to arrive on a specific date. Alas, it arrived long ahead of time - which made it anti-climactic, but the nuts were good, regardless. Wow! Whole jumbo cashews ....delicious perfection! The cashews were huge and fresh and delicious. The best cashews I have ever had. They were delivered on the day I selected even though I live in the middle of nowhere. ProsThe cashews were whole and each one large enough to get two bites from. Just enough salt but not too much. Much better than the store bought ones in a can. I was very pleased with my roasted cashews. The size of the cashew are large compared to the store brand and I loved the roasted taste of them. I received them quickly and with free ship, was not disappointed in ordering these. ProsThe size of the cashew. The flavor of the cashew. This is my yearly "stocking stuffer" gift for my father! He has been enjoying the cashews and peanut brittle I ordered from Superior Nut Company. He had to lock them up so he doesn't eat them all in one sitting. Thank you! ConsProduct quantity seemed a bit small for the price. I was pleased with all elements of buying from Superior Nut. The site was user friendly and delivery was timely. They are REALLY good! You can't go wrong with these. I liked it very much. I finished eating all of it in a few days. Very nice that it was no shipping charge. Will buy again. ProsBig jumbo size. No shipping. Who doesn't love cashews? This is a great price for these and my dad loved them again! 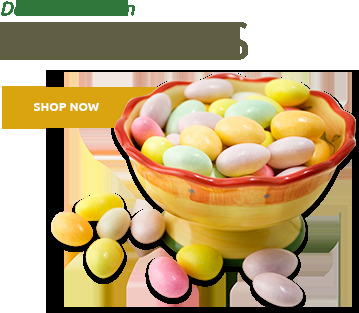 I've purchased from this site multiple times and have never been disappointed. Great gift - and great customer service. I have sent this item out as a gift on 2 separate occasions. The most recent time was a gift for my Dad, and he realized upon receiving the nuts that there had been a mistake with the order, and it wasn't quite what it was on the order form. I sent an email to the company and received a reply in less than 24 hours, and the mistake was immediately corrected. My Dad says the nuts are delicious, and I'm happy to order from a company that takes the time to make customers happy! I would definitely recommend ordering this item and other items from here. These were so lavishly described that I think my expectations were too high. They were nice enough, but I enjoy the organic ones I buy locally better. Sent these as a gift and was delighted with the quality. Delivered as requested. The cashews were extremely large compared to store brands. Very tasty. Arrived quickly in pristine condition. Will buy again. Have purchased this multiple times for small gifts. People are thrilled with quality and presentation. as usual, an A+. and very fast shipping always. ProsFresh tasting giant size as well. he gift recipients liked the jumbo cashews; said they were very large. ProsTHE GIFT RECIPIENTS SAID THEY WERE SO LARGE. Your service is excellent.The cashews are the very best.Ihave placed three more orderes in last two weeks. These have always been the very best chashews for the money throughout the years I have been eating them. (Many Years, I live very near to the fctory) Will always buy only from Superior Nut Company. This was a gift. Recipient was VERY pleased. I had trouble with your web site, and then my phone disconnected on my first attempt to order (my fault), but once I got the order in, it was smooth sailing. Even though you said you couldn't deliver by Christmas, the nuts arrived on Christmas eve, even in Olney, Montana, which is truly the middle of nowhere. 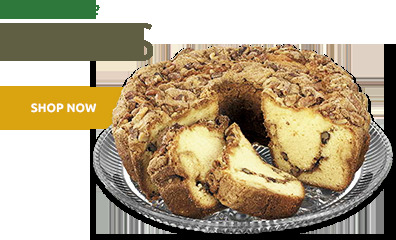 I sent three of these to three different family members, and they all said they were delicious. I will probably order more next year. I don't order for myself because I'm spoiled--I have a nut factory right next to the campus where I teach. But they don't ship. Who needs the hassle of packaging and standing in line at the post office at holiday time? I didn't get a chance to try the nuts as it was a gift but I will definitely purchase again given the price and the excellent customer service. 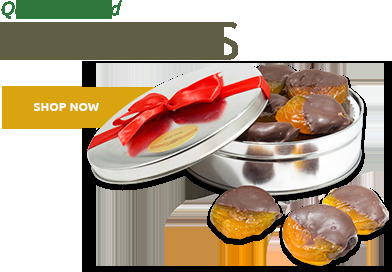 Great gift for holiday gift giving or to bring along when attending a holiday party as a hostess gift. I've ordered from Superior Nut before, and my recipients of the things I've ordered have told me that the nuts were the best they ever had! This year, along with ordering gifts to be sent to friends, I also ordered the cashew gourmet tray for myself . . . and I have to agree - they are the most delicious cashews I've ever tasted. They were not overly salted, and I had a difficult time putting them down so that I wouldn't eat them all at once!!! ProsTheir flavor and the fact they have just the right amount of salt! ConsWish there was a bit more - kind of skimpy! I ordered these during one of the sales, and the price was great. I'm holding them for "stocking stuffer" gifts, and It's hard to not open them and sample them. They look so good! My order came quickly. The order arrived immediately. I had to hide them away so we would have some for guests on Thanksgiving day! ProsThe quality is consistently great. The cashews were excellent. We actually put some into our Thanksgiving Day Stuffing, along with cranberries. Very tasty. Excellent. If you are a cashew lover these are the ones for you, and they were delivered in just a few days. Glad I found the web site on the internet. Will definitely use again. My friend said the cashews were very tasty. The said price was right for me. The person on the phone was friendly. ProsCashews are a favorite Price was reasonable. I bought these for my dad for Father's day and he said they were the best cashews he's ever had! Item was delivered on time and just as described...Gift recipient was ver pleased! I sent a number of people the cashew tray. Everyone loved them!! This was an easy inexpensive way to say Thank you. The free shipping was a wonderful bonus. I am very impressed with the quality of the cashews and the speedy delivery. I will defiantly order this product again. Bought these as a gift for my grandfather's birthday. He is still talking about them. Absolutely delicious! A perfect gift...wonderful for Father's Day. The biggest complaint I got was that they were gone! Irresistible and delicious all around. ConsThey do tend to disappear, which is sad. ProsThis is a great size and price for a small gift. Your cashews are the best. You get what you pay for, and these nuts are indeed superior--the best! I gave them as a gift to my cashew loving father. He said that they were the smoothest and best chashews that he had ever eaten.